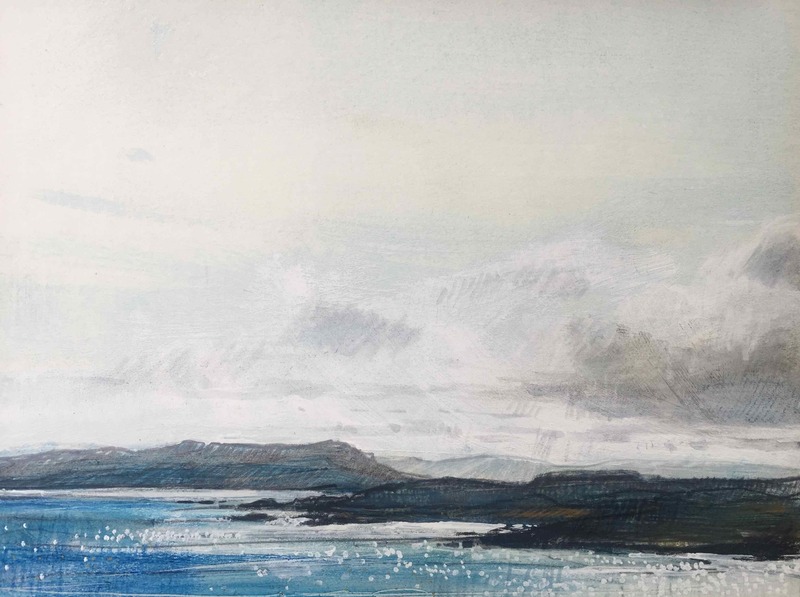 Graduating in 1999 from Edinburgh University with a sell-out degree show, Sarah Carrington began her artistic career based in Edinburgh. 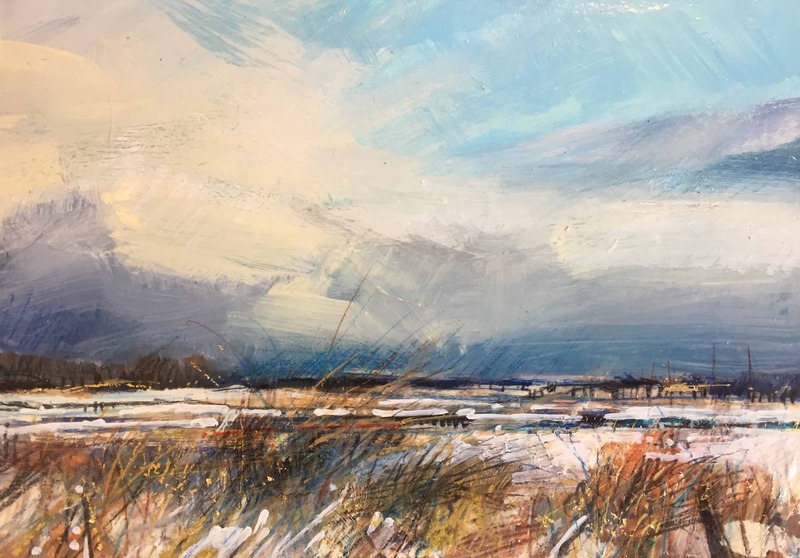 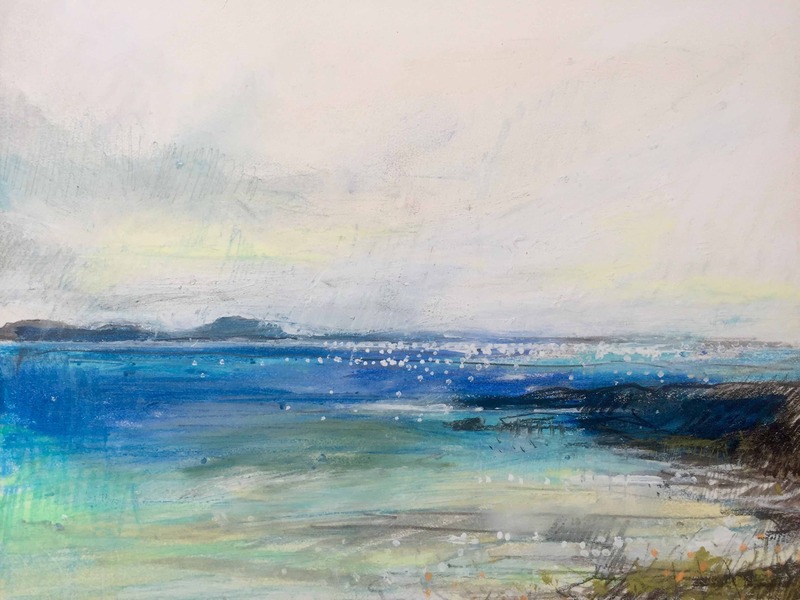 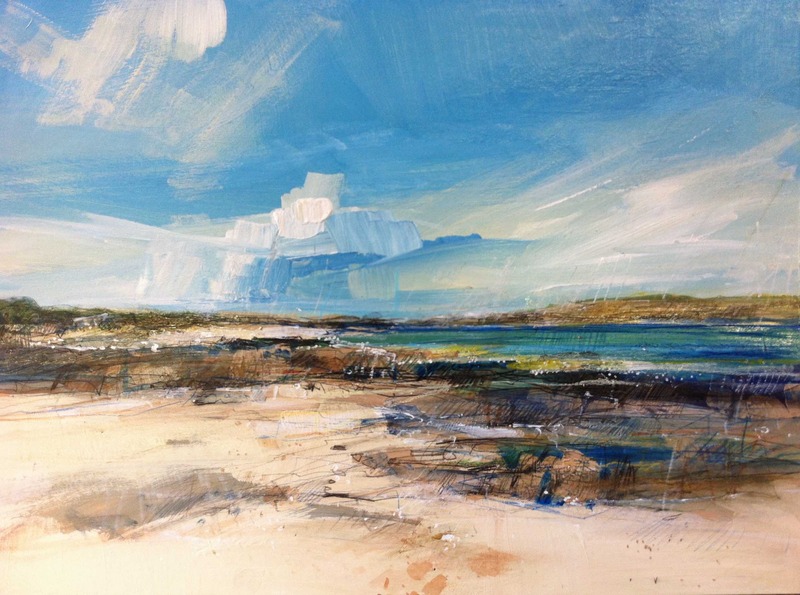 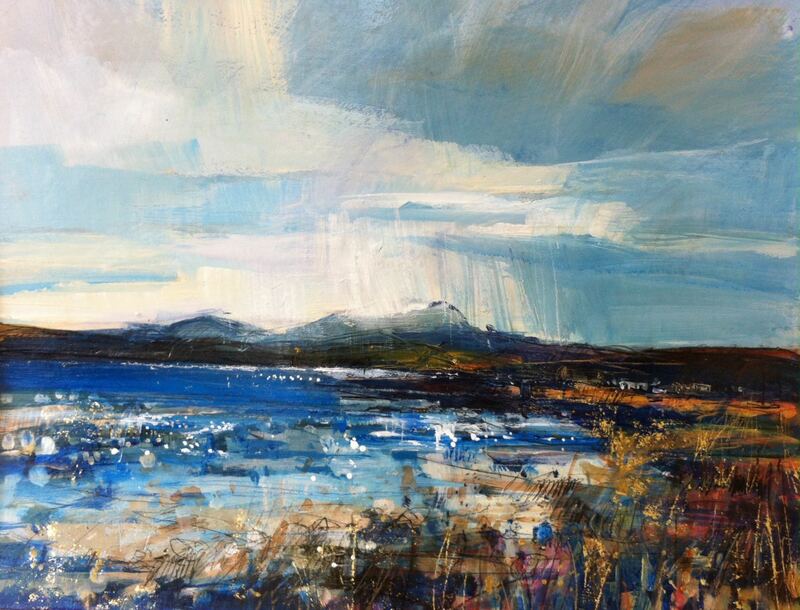 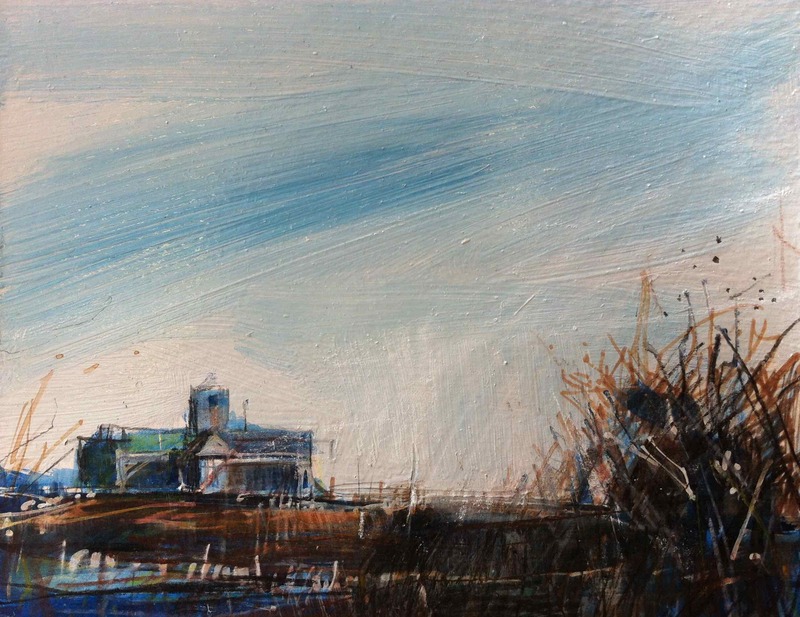 Her work focuses on the Scottish coastline, a passion she has had since childhood holidays on the west coast and sailing excursions around the Hebrides. 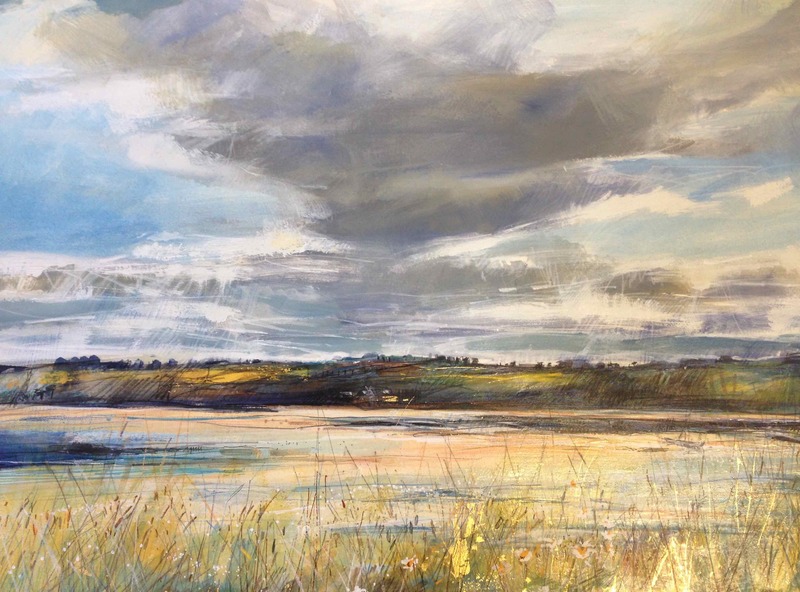 Her paintings are often large in scale, colourful yet at the same time subtle. 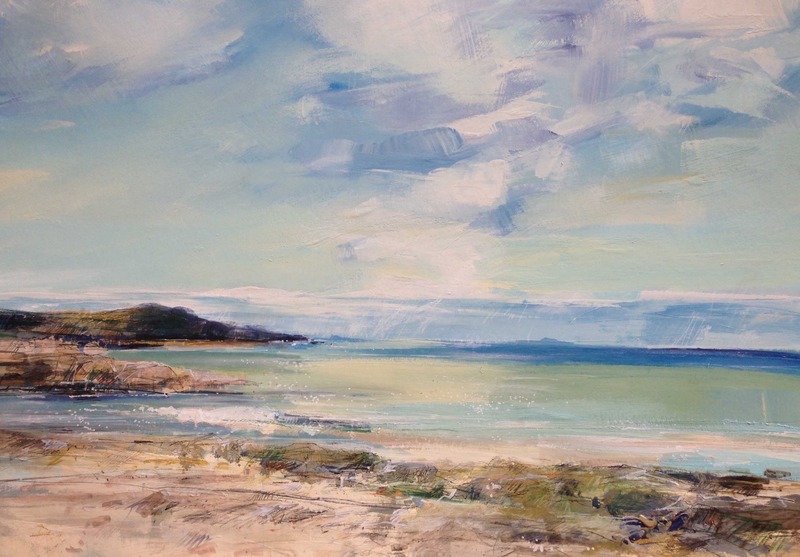 Her understanding of the nature of the sea and sky is evident in her work. 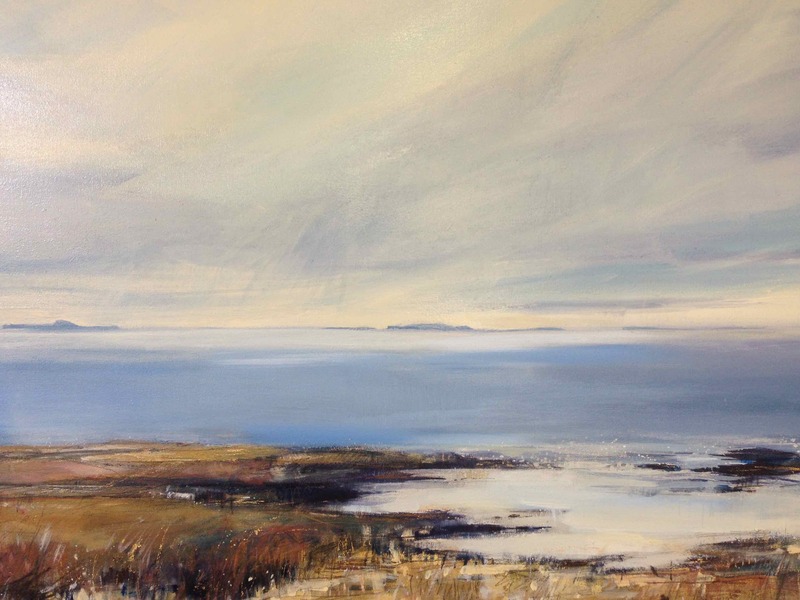 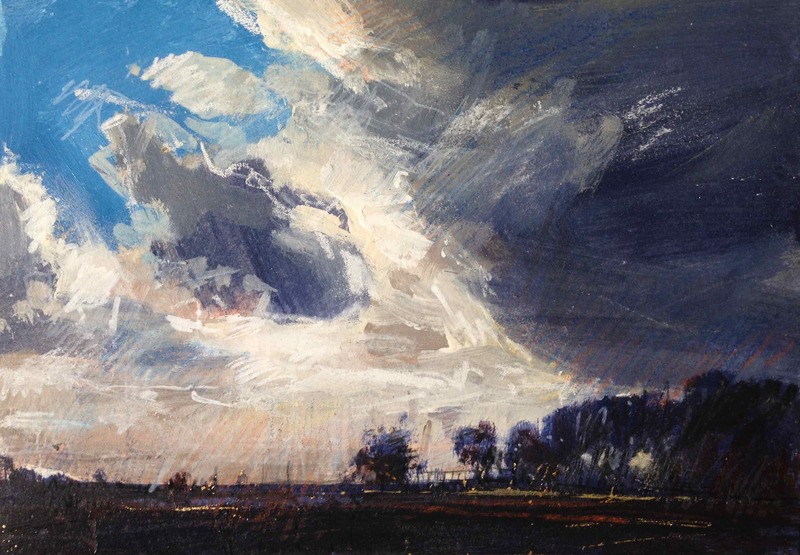 Through her paintings, the viewer is enveloped by the vastness of the sea and sky. 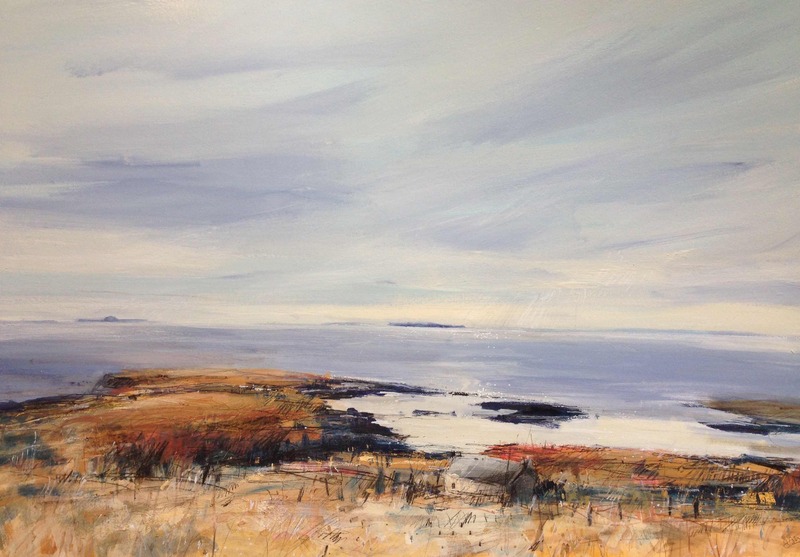 Depth and distance are constant features in her work. 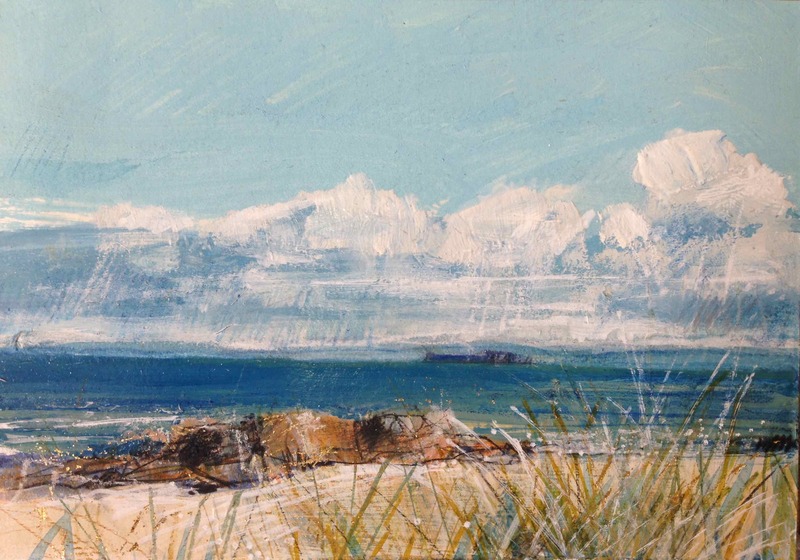 Most of the paintings are created in the studio from photographs and sketches executed on-the-spot, at the beach. 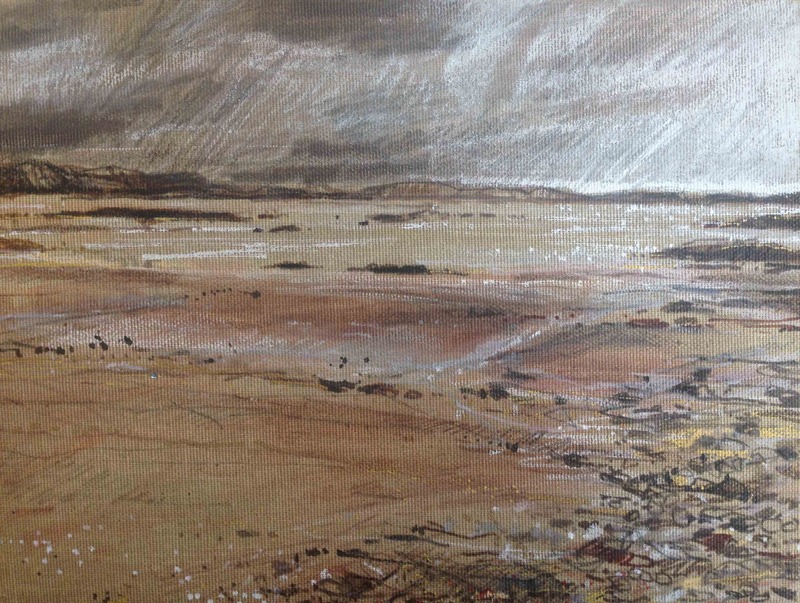 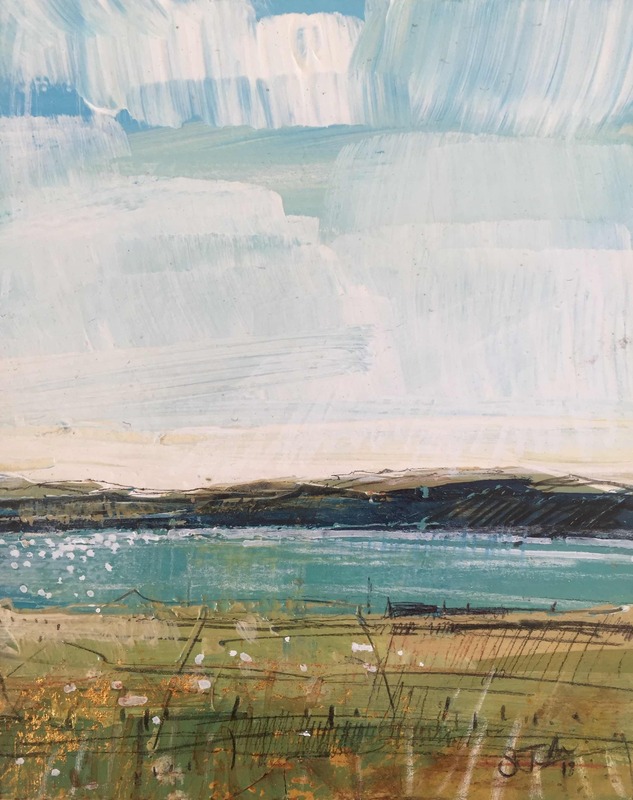 She uses household emulsion, oil, ink, chalk and gold leaf to create a variety of surfaces and to describe the different textures found at the sea-shore and the mood and weather of the place. 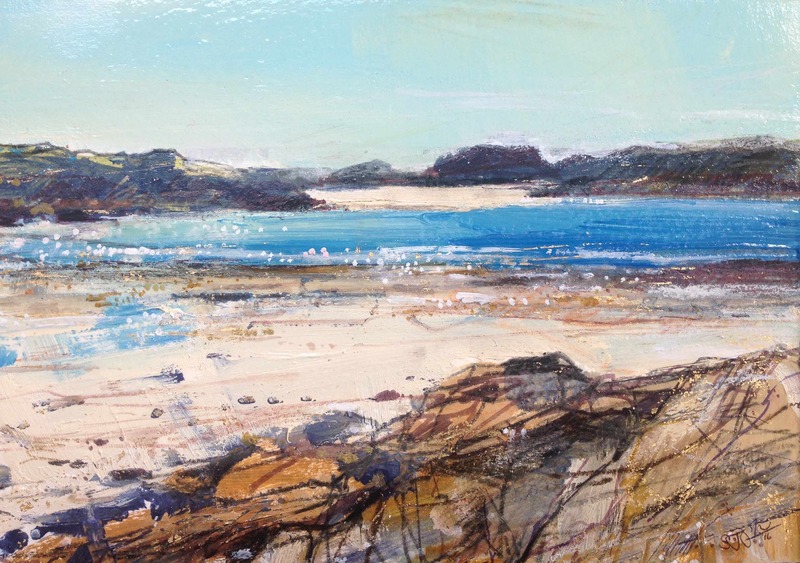 For Sarah, the sea remains a constant inspiration for her work. 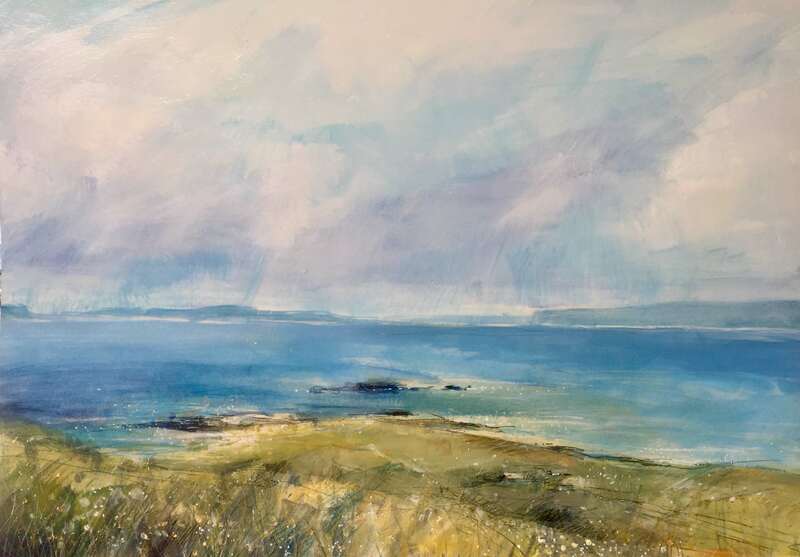 She now lives on the north coast of Northern Ireland, with her husband and three children, where the rugged coastline is equally inspiring to that of her homeland of Scotland. 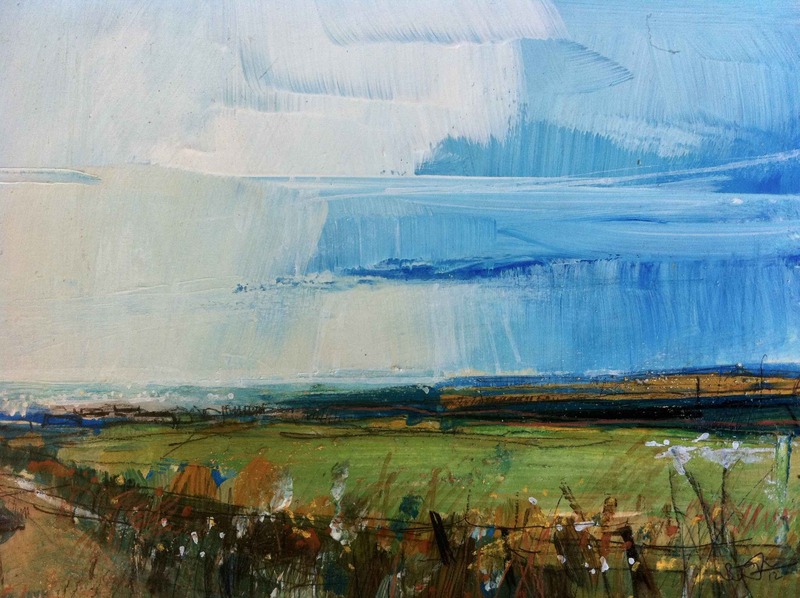 She exhibits widely throughout the UK.